“Lee” Harry Lee Cooper born December 13 1894 Mc Cook Nebraska .Harry Lee Cooper was born the son of William Charles and Emma Cooper .Harry would be known as Lee Cooper his entire life. Lee was raised and educated in the McCook area of Nebraska. He would complete the eighth grade and some years later attend a Collage in Sherwooly Washington State. Lee’s studies were of Agriculture and Business. Lee would marry Esther Mary Brockway on June 23 1920 in Sheridan Wyoming . Esther Brockway was born Jan 9 1899 Buffalo Wyoming. Lee and Esther would have three children all born in Wyoming. Lee and Esther raised Timothy seed, hay grain and hogs, in the off season/winter Lee would work in the Timothy seed cleaning plant also located on the Long place. Lee would become the manager of this plant and remain in that position until it’s closure. Thrashing was done each fall for the Francois Lake, Colleymount and Decker Lake areas. Lee and Esther stayed on the Long place for about six years, by this time the two youngest children (Gerald and Kathryn) were old enough to travel the five miles to the Francois Lake School by bicycle, horseback or horse and cutter in the winter. Lee would buy property on Brown road and later adding three other parcels, amassing a holding of seven hundred acres. Cattle, sheep, hogs, Timothy hay/seed were the staples of this farm/ranch. From stories that have been handed down I don’t believe that life was easy, Lee would find himself working out some winters to pay the taxes on the farm, he would work at a mercury mine on one occasion and become extremely ill from the mercury exposure. There was be a lack of mineral (cobalt and ?) in the local feed causing him lose the majority of a lamb crop. The invention of synthetics would severely cripple the wool industry. The distance to market and the time to get the stock always an issue. The second World War would cause shortages in fuel, rubber, market etc. All leading to a way of life with no or little extras… and a surplus for the need of hard work and long hours. I have been told that Lee always gave of himself freely to the community, and to projects of the Francois lake Framers Institute and the Fair board . In 1952 Lee and Esther’s family grown and on their own, and not enough income off the farm to support two families Lee sold the farm. A warmer climate and semi retirement is what they chose. 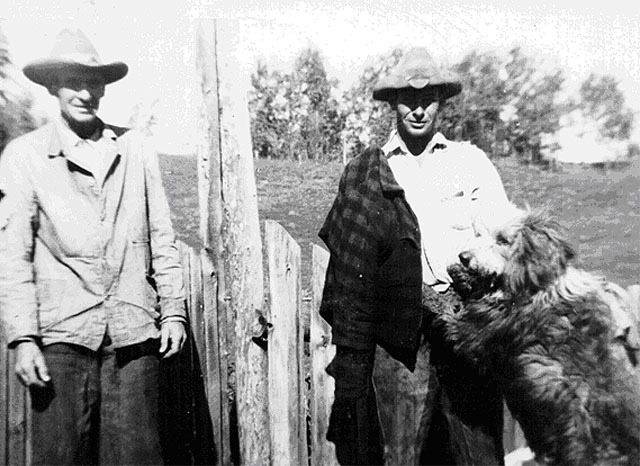 They would buy eighty acres in the Salmon Valley-(between Salmon Arm and Vernon).Lee would grow and produce the “Gem Potatoes” for seed and commercial use, along with caring for calves. After his retirement Lee would return to Burns Lake for many years in the fall to help his daughter and son in-law ( Ruth and Roy R&R Lord) with their hunting camp and guiding. Harry Lee Cooper passed away Nov 24 1970 Vernon B.C. Esther Mary Cooper passed away March 27 1980 Vernon B.C. 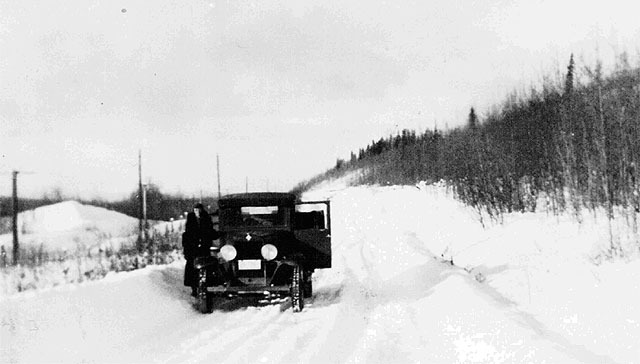 Figure 3 Lee and family came from Wyoming to Burns lake with this truck. Figure 4 The Coopers attend a Ski meet (Atop Burns Lake ski jump ). 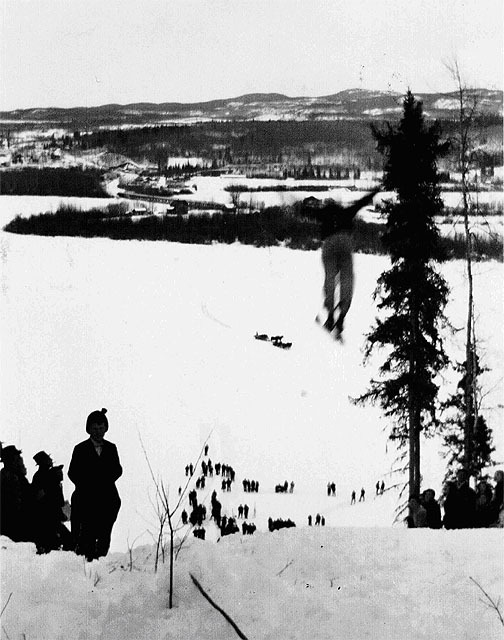 Grandson in the ski jump 1940.